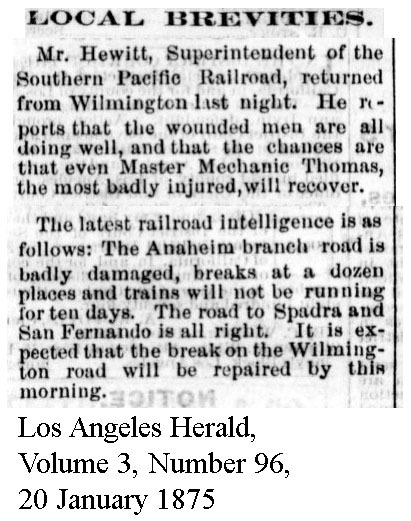 I am writing three children's books related to Phineas Banning, Southern California transportation pioneer and an owner of the Los Angeles and San Pedro Railroad until sold to Southern Pacific in 1873. 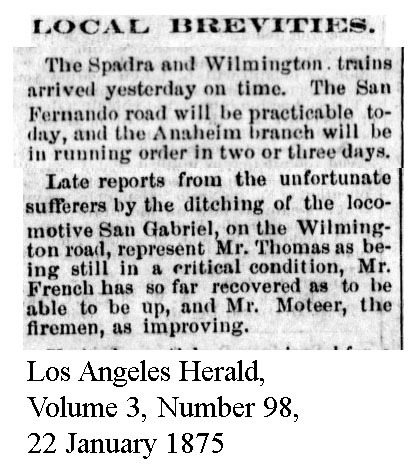 My first is San Gabriel Southern California's first locomotive. 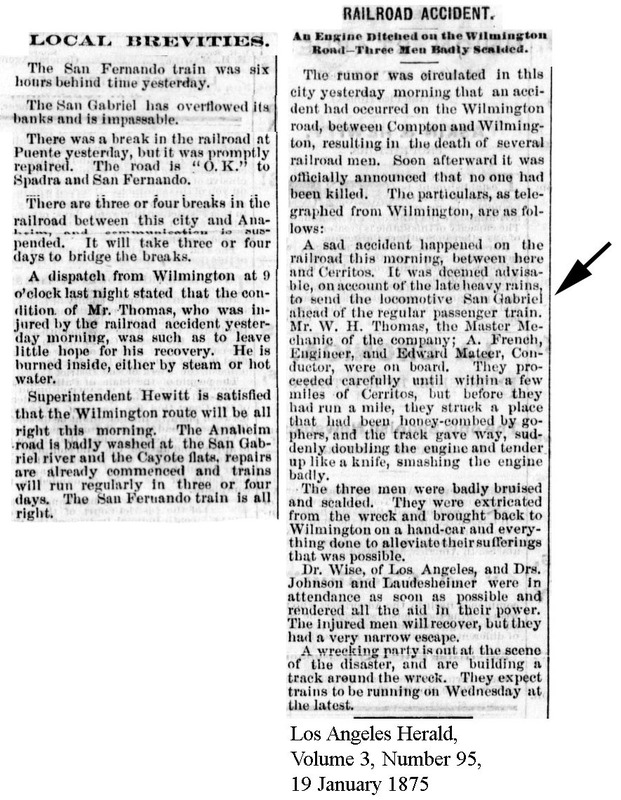 The San Gabriel was given the Southern Pacific number of 30 after the take-over. 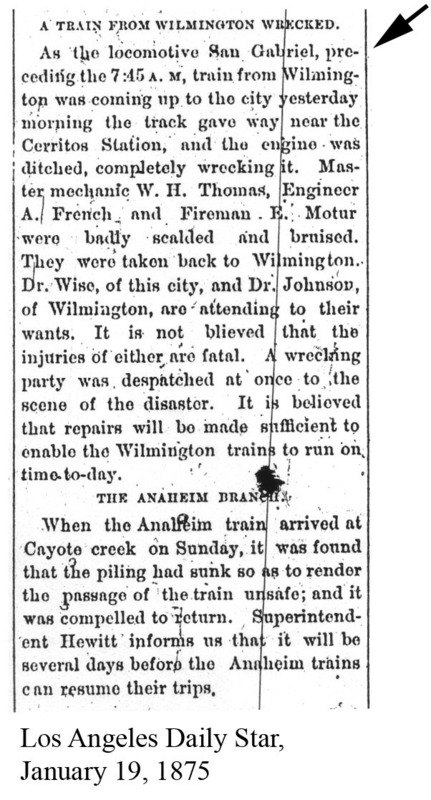 It was wrecked on Jan 18, 1875 – see above. It is unclear if it was ever repaired after that wreck. 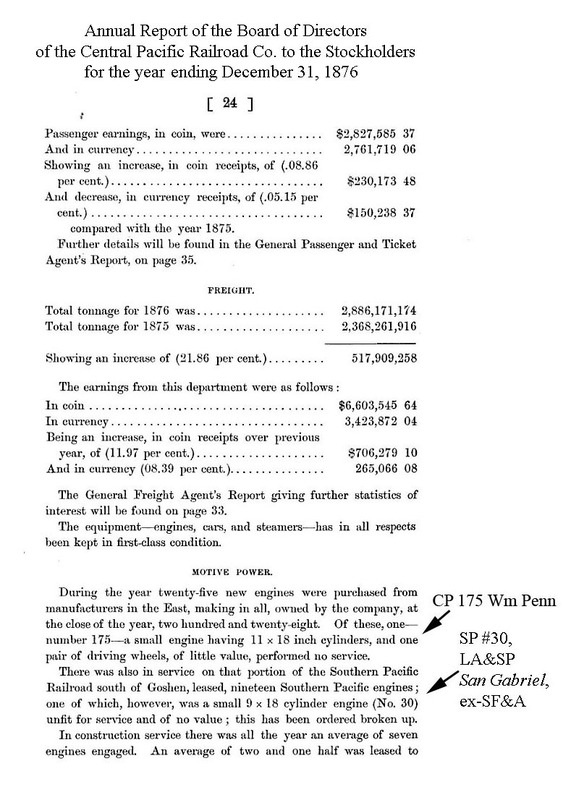 In the Annual Report of the Central Pacific for the year 1876 it is noted that the loco was of no use, and was ordered to be broken up – so presumably scrapped in that year. Sincerest thanks for your speedy reply which really helps to give closure to my book. Scheduled book release is late November in time for the holidays. With thanks and much appreciation. Does anyone out there happen to have any other photos of San Gabriel other than the Godfrey one from the Huntington Library that is on the cover, or know who might have them? Best regards and thank you again, folks.